Cherokee Manufacturing is a proud member of the FIBCA Association. 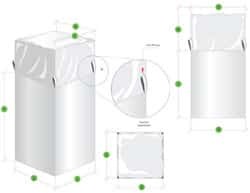 FIBC or Flexible Intermediate Bulk Bags are an industrial container made of flexible fabric and designed for storing/transporting dry, flowable products such as sand, fertilizer, etc. They are usually constructed from thick woven polyethylene or polypropylene, either coated or uncoated and normally measure around 45-45″ in diameter and 35-80″ in height depending on the specific end use need. Typically, a bulk bag will transport one metric ton of material while only weighing approx 5-7 lbs itself. The bags usually are not water proof unless coated due to the woven nature of the fabrication. In general, the bags are recyclable if made of 100% virgin polypropylene. FBIC’s significantly improve labor force efficiency with their easy-fill and easy-empty characteristics. They eliminate the need to handle, slit and dispose of small 50 or 100 lb bags and will often empty directly into processing equipment. 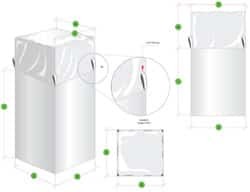 Most rigid or corrugated containers must be pre-assembled which a process not needed with bulk bags. Wood pallet usage is at a minimum if not eliminated. Most bulk bags empty with a minimum of dust and air contamination and save on storage space as they are totally collapsible. Since they are probably the least expensive means of packaging and transporting bulk products, FIBC’s cut costs considerably. 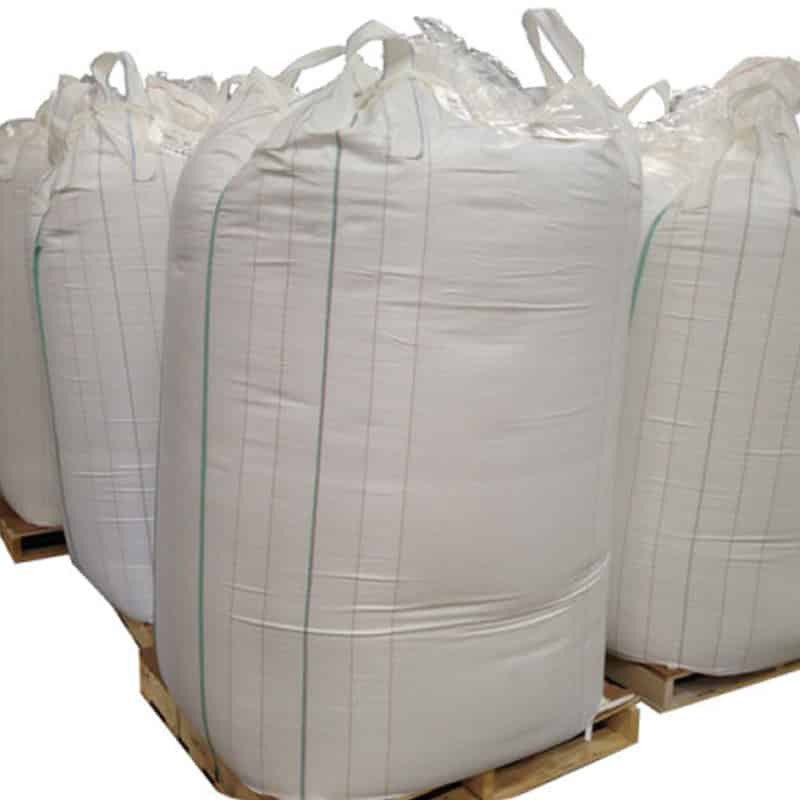 The durable, tough industrial fabrics used in making bulk bags protects products and ensures safe storage and shipping. Since a forklift does all the work, no special handling or equipment is needed. FIBC’s may be UV treated to protect them from breakdown especially during storage. The UV treatment is an additive to the resin during the extrusion process. 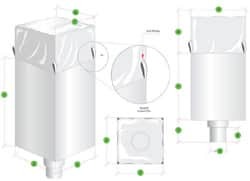 Most FIBC’s are considered single use containers unless they have a 6:1 SF (safety factor). If an FIBC has a safety factor lower than this, the fabric might be worn down and the loops could be breaking down as well. A 6:1 SF designates the bags are rated to hold 6 times the amount of the bag’s SWL (safe working load). This means that a bulk bag’s safe working load is the amount of weight that the bag is rated and tested to hold safely. Another term often used for bulk bags is UN certification. This is a test that puts the FIBC through a set of rigorous test such as drop test, tear test, etc. The certification is usually good for one year from testing.